At the same time, while turning the restaurant into a 100% gluten free one, also at the “Finca Heartsong”, a project has been developed where ingredients are produced by permaculture, katuk leaves, blueberry, hibiscus, gotu kola, spinaches, Okinawa, Vietnamese cilantro, basil among others. Some of them are grown using the hydroponic method like: carrots, lettuce, cucumber, sweet pepper, little radish, tomatoes, basil, parsley, cauliflower, garlic and in the open air the fruits like passion fruit, bananas, oranges, cocoa, coconut, lemon, pineapple, star fruit, besides of string beans, oregano, cassava, plantains and coffee. We need to stand out also that we have hens for the morning eggs, goats, rabbits, tilapia, biodigestor, and 10 honeycombs from which we extract fresh honey. The central building of this uniquerestaurant, was designed as an area of homage to local ancestors. Its architectural design was based on the “Boruca” traditional ceremonial dwelling, a symbolic expression of this Costa Rican indigenous culture. Its circular shape generates an idea of center projected energy towards the sky through the conic roof. The symbolic codes are mainly social and religious with universal elements, which mean that many ethnics around the world have similar concepts. Its eight columns where placed reminding the original ritual of our native ancestors, who used the sunrise and sunset as points of reference. The center of the first level has a mosaic that represents the Cosmic Levels of the local cultures: Earth, Sky, Moon and Sun. Our creative Chef will pamper all your senses, serving 100% gluten free and gourmet dining with a selected choice of wines and awesome views. La Palapa is open for our guest and general public daily from 6:30 a.m. to 10:00p.m. We serve breakfasts, lunches, snacks, cocktails and a exquisite menu for dinners. For reservations please contact us by email info@cunadelangel.com, Phone +506 27874343 or chat. 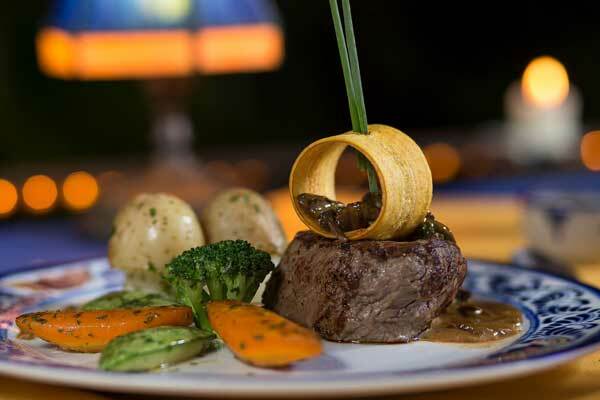 Our chef Guillermo Sáenz, is an experienced and meticulous lover of fine cuisine. 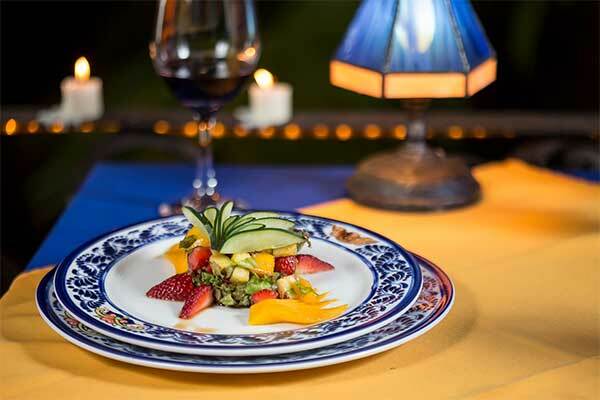 His 11 years of experience has allowed him to learn Spanish, Italian and Mediterranean gastronomy, creating a broad vision of world-renowned cuisines and legendary dishes fusing with tropical ingredients from Costa Rica. His culinary skills have taken him to Italy and Spain to open restaurants, as well as in Costa Rica. Today we enjoy his exquisite ability at the restaurant La Palapa at Cuna del Angel, where he has incorporated a wide selection of gourmet dishes with original recipes.